Most of us have probably seen the bizarre looking square called the QR code without knowing its application. It was developed twenty years ago in Japan for the automotive industry as a way to graphically encode information about different items. At that time it could not find an application outside its intended purpose. But after two decades it is all the rage in Japan and its popularity has even spilled over the border into China, where it is now among the latest tech trends. 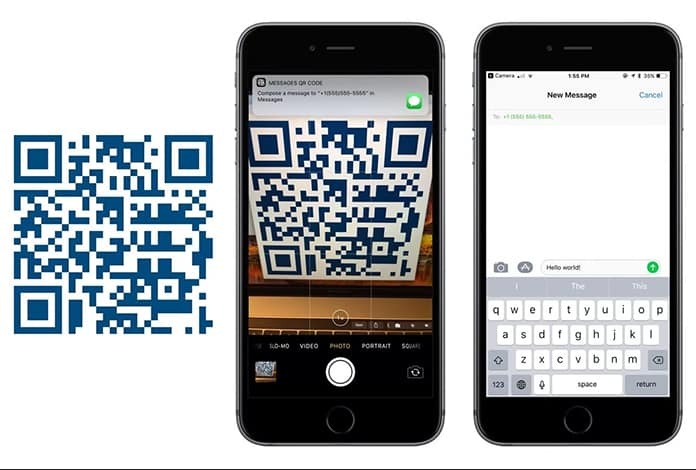 Read on to learn how to scan QR codes with iPhone or iPad running iOS 11. Apple has picked up on this latest craze and incorporated it in the latest iOS 11 version. You do not require third party apps anymore. 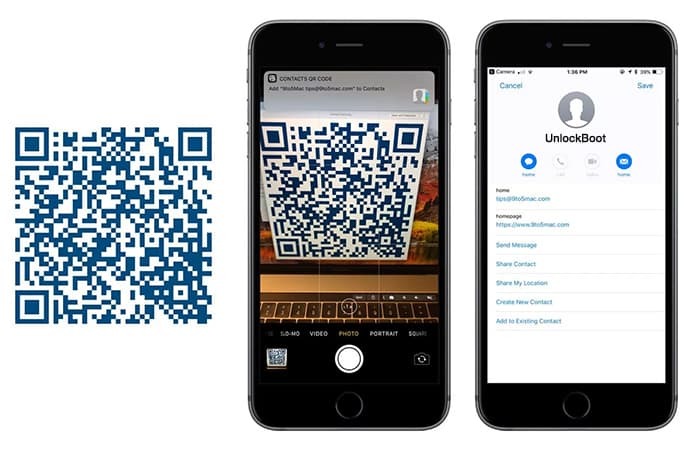 The new feature will make scanning the QR Code easier than ever and help develop more innovative ways it can be utilized. Launch the Camera in iPhone. Direct your camera towards the QR code. A notification box appears on the top of the screen. It allows you to act on the QR code. One of the most helpful uses of the QR code is automatically adding contact details through scanning a QR code. Upon scanning a contact card QR code with your iPhone you will be given the option to save the contact info. You can even add multiple calendar events using QR codes. QR codes can be very handy to send several emails using preset addresses and messages. This use is especially beneficial to business for marketing purposes. This particular use is also more helpful for businesses. Directions to your business can be conveyed through the use of the QR code on a flyer. The QR code saves address locations as GPS coordinates. 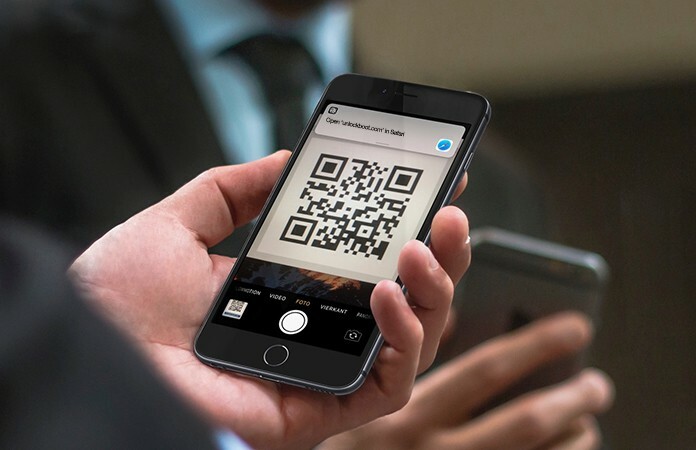 This feature assists sending messages using QR codes. Customers wishing to subscribe to a service or product could make use of this feature and join an SMS list. Small stickers with codes for compatible devices are scanned to configure Homekit accessories. These stickers have turned out to be unreliable because the codes are either concealed or unavailable. 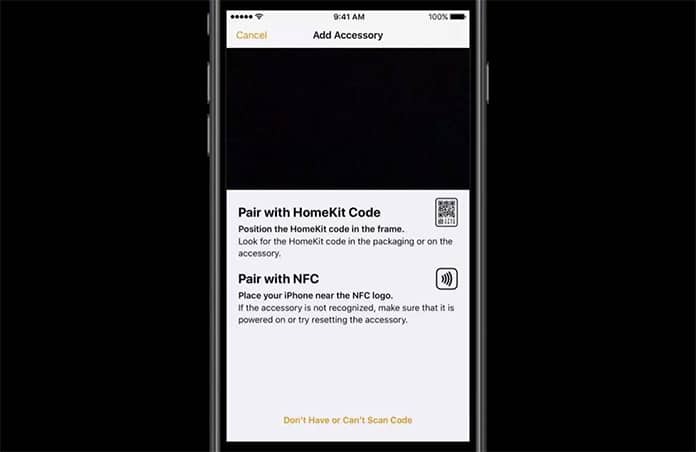 To resolve this issue, Apple has come up with QR codes and NFC support for HomeKit accessories. Even small QR codes measuring 10mm x 10mm can be scanned at the time of setting up of HomeKit. Joining public networks is going to be extremely easy using the QR codes. QR codes could be displayed on any visible point like near the entry or till. You would also be able to share the code with your friends so they could join the Wi-fi too. 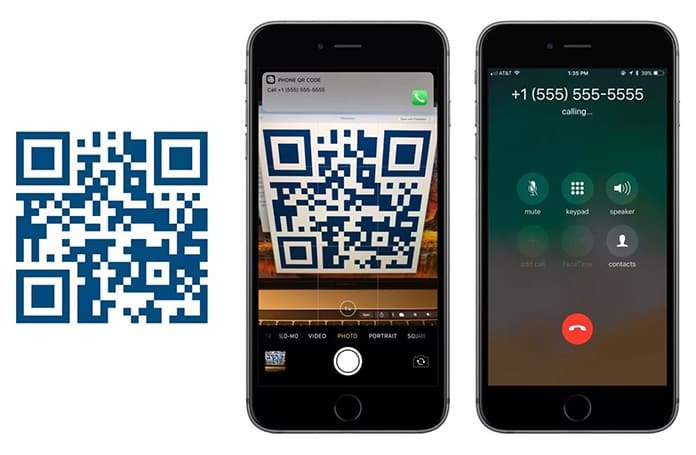 Scanning particular QR codes with your iPhone, you can even make outgoing calls without dialing manually. QR codes with embedded URLs give you the option to open a website without typing the name. This function will be extremely helpful with the use of callback URLs. You would really enjoy this particular purpose of the QR code. A number of iOS apps support Callback URLs. This feature permits users and third party apps to come up with special URLs that open certain parts of an app. It is these URLs that are utilized by apps like Launch Center Pro and Workflow in order to initiate services automatically that open into third party apps. 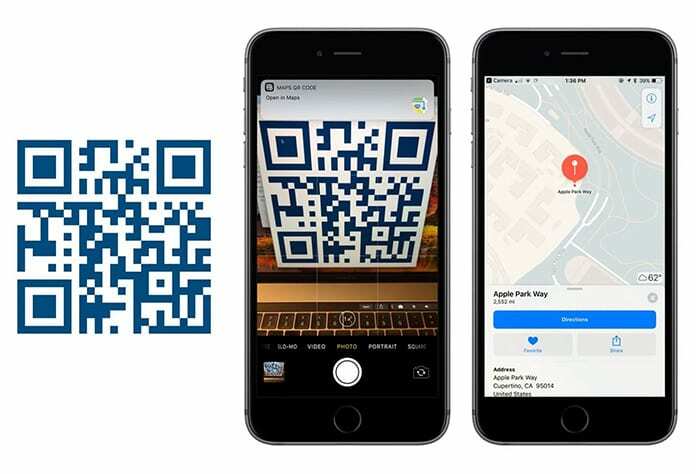 Having generated a QR code with a callback-URL, scanning it will immediately launch an app on your phone at a specific point. For example, if you scan a QR code configured for Facebook, it will take you directly to the account of a particular person. This is just one example but other apps that support callback-URLs will work in the same way. Apps like Twitter, Tweetbot or payment apps like Coinbase will benefit from this feature. 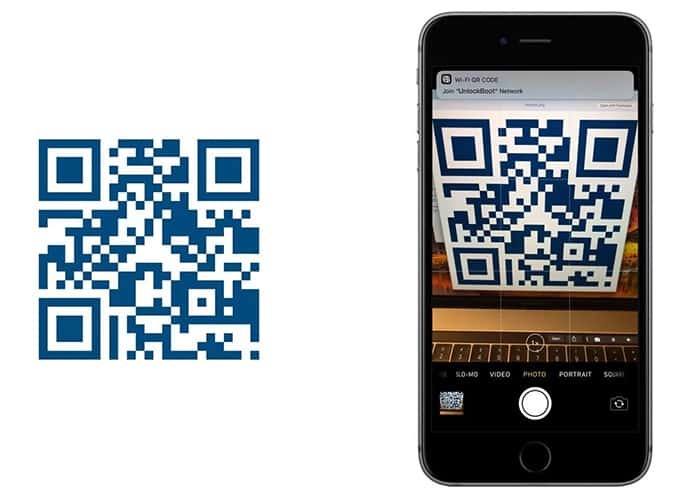 You can create iOS compatible QR codes on QRstuff.com. Other generators are also available but not reliable and may interfere with iOS 11’s QR code parser. 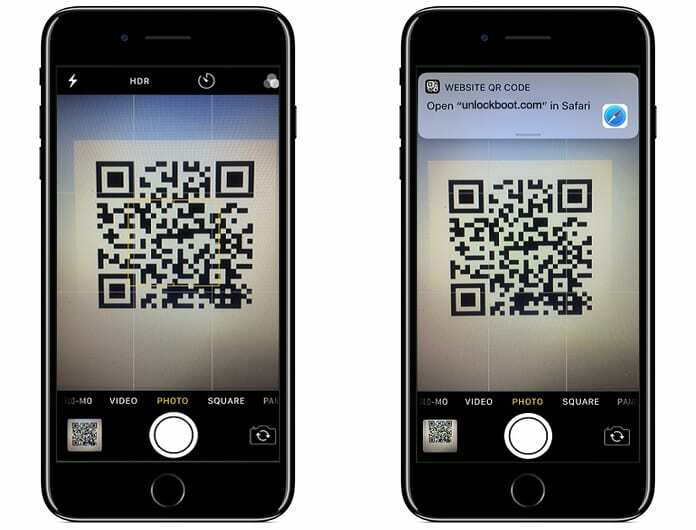 The use of QR codes is not confined to scanning alone. 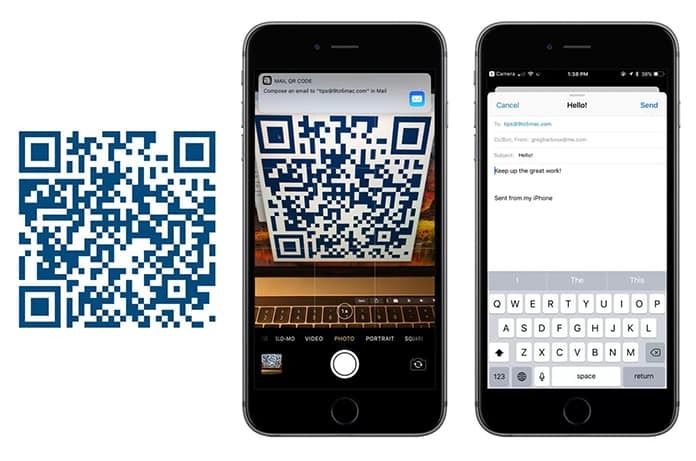 When you save an image, iOS will identify it as a QR code and act accordingly. 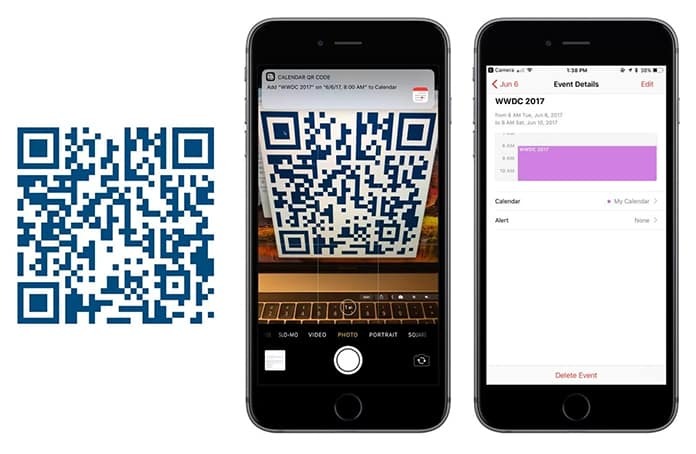 Although QR codes had not been in demand earlier, Apple’s backing will help establish its use. The iOS 11 beta is available to developers while public beta testers will be out next month. Those of you who are using the iOS beta can test sample codes from the internet.